This is a family fun day out. It is the major annual fundraiser for the Mercury Bay Area Schools. 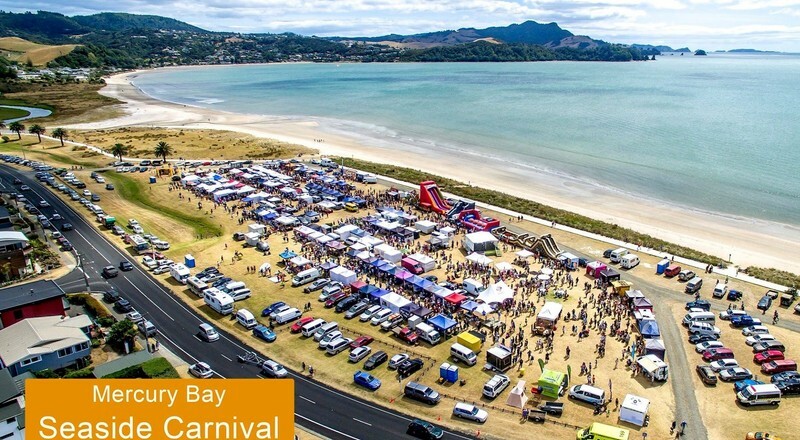 There will be over 140 craft and food stalls, two stages featuring local live music, games, quick fire raffles and games all on the beautiful reserve over looking Buffalo Beach which is walking distance form Whitianga main street. You may donate a gold coin on entry if you would like too. There are still a limited number of sites for stall holders.